As you enter this home you will notice attention to detail and craft of workmanship throughout this well-built home, with 2x6 wall construction quality finishings. 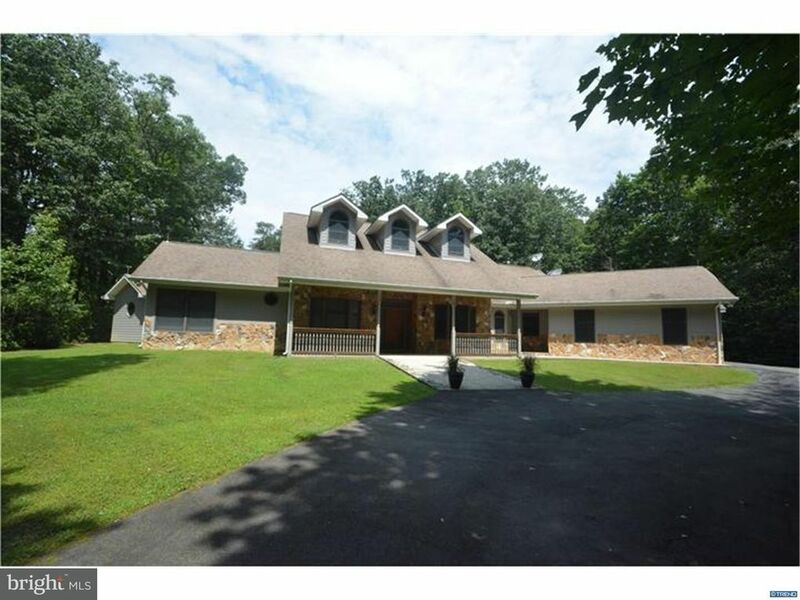 4 bed, 3.5 bath rancher on 2 private acres that backs directly into Elk Neck State forest. All weather and durable Hardy Board siding on exterior and gorgeous stone front, with wrap around drive way and turned 3 car garage. Upon entering you will notice hard surface flooring throughout, vaulted and high ceilings, stone & timber gas fireplace. As you enter the dining room is to the right, spacious family room ahead and to the left are 2 bedrooms, one with a walk-in closet with a shared full bath. Master suite is on this side as well with walk out to rear patio area, his and hers walk in closets, shower and separate tub. On the other side of the home you will find a large 2nd master or MIL suite with kitchenette, full bath, walk in closest and sliders to back patio. Large spacious kitchen with double oven, cooktop, island, breakfast room and 2nd family room with sliders to rear deck. Laundry/mud room, utility room and garage entrance from here as well. This property has radiant floor heating throughout with oil fuel and central air. Exterior is all pre-wired for lighting. There are gutter guards installed. All walk-in closets have closet organizers; most windows have touch glide shades and blinds. Explore this property in virtual reality - see our 3-D Tour!